My first woad results this year. Next year I’ll focus more on these rather than doing many plants, I just hope it keeps spreading in my abandoned vegetable garden. I was glad to find that there’s plenty of colour in them even this late in the summer, old leaves with holes in them and all. I saved half my “potion” in what I hope is an airtight bucket for dyeing more later. 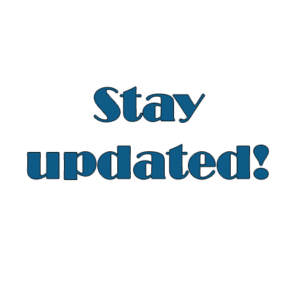 I wanted the option to experiment more and besides, I ran out of Spectralite. Det lykkedes at få noget ud af mine vaidplanter selvom bladene var gamle og ormædte. Den ene grydefuld har jeg sat på hold for at se om den duer senere, det skulle være muligt at gemme i en ilttæt beholder. Det blev mest til overfarvning af forskellige gule, og så glemte jeg endda nogen af dem jeg havde planlagt. Tagetes orange fed, tagetes gult fed, tagrør, vau og birk dyppet 3 gange. Ok, I totally forgot that I wanted to show you what it looks like when you boil the leaves after extracting the blue. It’s still in the pot, I was too busy yesterday. Those are really lovely colours. You must be pleased with them. Thanks for sharing. What do you use as a mordant? Thanks! For woad and indigo no mordant is necessary, the overdyed hanks have first been mordanted with alum to take up the yellow better. Thank you. I’m hoping to try plant dying at some point so always interested to see other people’s results. Dyeing with woad is a bit different, you can’t just boil the leaves and put the yarn in like you do with other plants, you need a different chemical process. Well, you can, but you get brown. Some people use a chemical to extract the blue, others use an old fashioned urine vat which has been used since before the vikings. Well I may try some plant dyes that don’t involve urine first before I move on to that! And the best urine is male day after they’ve had a lot of beer apparently. I also don’t want my yarn to smell like wee, not to mention our yard, so I stick with chemicals. 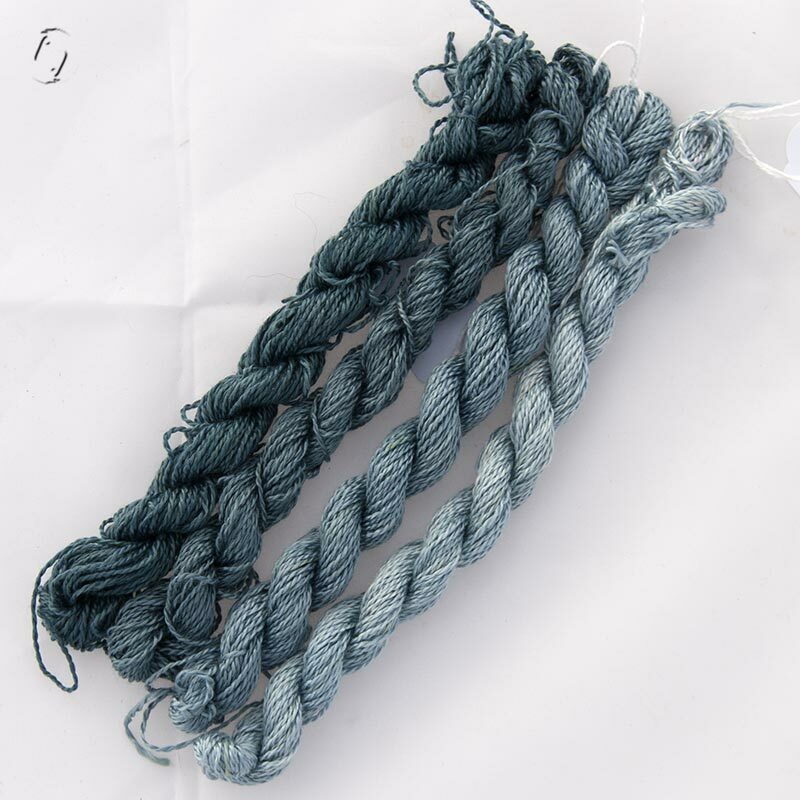 So how are you finding dyeing with woad compared to dyeing with Japanese indigo? Do they produce different kinds of blue? Which do you prefer? 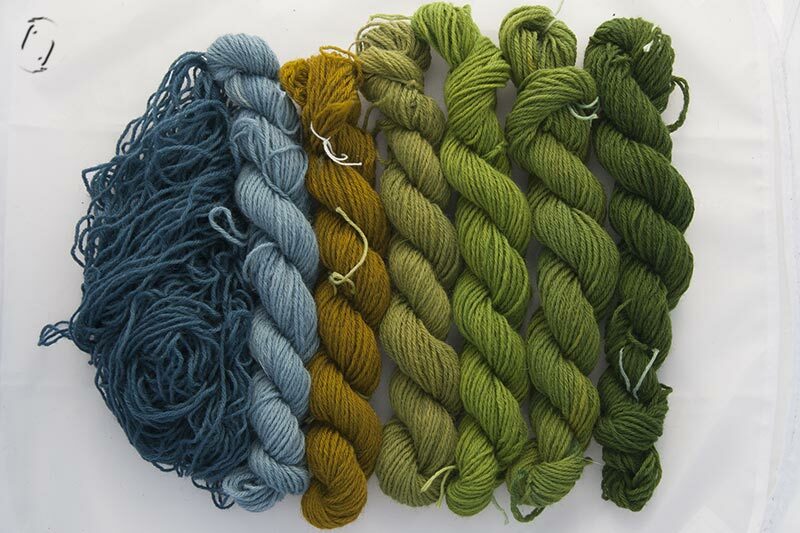 That green you got with combining reed and woad is just fantastic, really vibrant. I don’t think they’re all that different – “real” indigo is probably somewhat intenser, brighter. I’ve only done this a few times, but I think I find the woad easier in terms of getting it to behave without splotches. Otoh I got a really really dark blue from the japanese 2 years ago when my plants were bigger and harvested earlier. So that factors in as well I think. Since growing the indigo is a bit more fickle, I may eventually just stick with woad. Jamen de farver er bare så fantastiske ! Jeg arbejder i en børnehave, hvor vi virkelig trænger til nogle plantefarvede uldgarner- lidt af hver. Wonderful results, I love the variety and vibrancy of the colors.